My wife and I are on our 4th new coffee maker and we cannot get rid of the plastic/chemical taste that the new coffee makers produce. Oddly, we can get a good pot from time to time. We did not have any taste problems with our old coffee maker (it broke). Any suggestions on how to make our new coffee maker "old" or broken in so that we can get back to the good taste we are searching for? Please help! I'm sorry to say, I don't know the answer. I know that new plastics and other synthetic materials "gas off" for a while, whether you buy a new car, have carpeting installed or buy new furniture. If anyone reading this knows the answer to Greg's question, then please use the comment box and let us know. The only thing I can think of is to buy a coffee maker cleaning product and try that. I'm not sure it would help, because such products are designed to descale. But it might be worth a try. Are mold and bacteria growing inside my coffee maker? The plastic taste in new coffee makers – Just a bad taste, or toxic too? Is There an Automatic Drip Coffee Maker with no plastic parts? Comments for Coffee from our new coffee maker tastes bad. It's the faucet water. If I don't get my coffee ready the night before to let the water settle, it aways has that gross taste. If I use bottled water, it tastes fine. Take the Bunn back, they get really nasty inside because the water is always a day old if you make coffee every day and it's worse if you don't make it that often..... and after a while... it's not a pretty picture and can make you sick. Buy something where you use the coffee you pour in, not the coffee that's been in the tank since the last pot you made. I think some other brands are also built that way. Yes, I too have just purchased a higher quality Oster coffee machine and when ever I am near it there is a nasty smell of burnt plastic. I did the recommended flush, still very nasty. This is unacceptable in the industry. I expect more. Had this problem recently at a high end hotel with a machine that served coffee by the cup. Thought it might be the water. Then this weekend I was having guests and decided to use my Mr Coffee that I only use occasionally. In an abundance of caution I made a pot a few days earlier and the coffee was fine. Yesterday, I set up the coffee maker with water and coffee so that an early riser could just push the brew button when they were ready for coffee. The coffee was terrible with an overwhelming plastic taste. I immediately made a second pot this time with filtered water and it was perfect. I think the problem was simply leaving the water in the reservoir for about 15 hours. I called Bunn because our coffeemaker SMELLED bad but the coffee didn't taste bad. He said they use an adhesive (thermoblanket, he called it) and it would "cure" and stop the smell in 2-6 weeks; It's been 2 weeks with no sign of stopping and we're going to write the president, find out what models don't have the adhesive and send this back at their expense. NOT ALL MODELS DO THIS HE SAID. AT LEAST NOT ALL BUNN MODELS. WILL REPORT BACK WHEN I FIND OUT WHICH ONES DON'T. IT STINKS. Could it be the heating elements? I've been plagued with a similar problem; coffee that tastes like cleaning fluid. I had the problem with a Cuisinart maker that was a couple of years old, but it only happened about half the time. When it started happening more often, I replaced it with a new Mr.Coffee. It worked fine for a while then, literally on the same day as making a perfect pot, the chemical taste was back. Same coffee, same water, totally different taste. I read on another site that insufficient water temperature can cause this. I'm wondering if this may be the case; maybe the heating elements are poorly made and are not producing a consistent temperature? I work in retail and somebody returned a hamilton beach flexbrew because they said that the coffee tasted like plastic. I told the manager that I would buy the unit for $20.00 and he sold it to me. I brought it home and made a cup of coffee the next day. It surely had a plastic taste. I put a half a bottle of rubbing alcohol in the chamber of the coffee pot, added water and finised with more alcohol per the instructions. Waited, rinsed, etc, etc and when I made another cup of coffee that afternoon it no longer had the taste. Was a great buy for 20 bucks and a bottle of rubbing alcohol! I too have a coffee maker that makes my coffee taste like plastic. I have cleaned it several times with vinegar, but it never fails it still tastes like plastics. What should i do? I got this coffee maker last year for Christmas. I just received my order for an electric stainless steel Moka espresso maker made by Aroma. I make Americano's by using 1/2 espresso and 1/2 hot water. The hot water creates pressure and steam that rises through the grounds to make the coffee but then it's done. It makes very good coffee. Previous to my electric Moka espresso maker I purchased the ones that go on the stovetop. I was careful to get the stainless steel ones though, because the original aluminum ones gave me concern about the link of aluminum to Alzheimers. The replacement the manufacturer sent me has much less of the bad taste but a little bit is still there. Do NOT drink if it smells like plastic. Some of you out there are familiar with the smell that occurs when something "electrical" is burning. If you smell/taste that in your coffee, you're in BIG trouble. Return (if possible) otherwise TRASH that coffee maker ASAP. Don't drink another cup, you're drinking some dangerous chemicals found in PVC tubing. The chemical is known as phthalates. It's deadly toxic if you consume too much of it. ... after rereading ... if you are using a plastic machine ... and the plastic is "a bad batch" forget it. ... Bad plastic will always be bad. ...grind your own beans & use a "refillable screen" cup ... if it tastes better, it is not the machine. any "non- coffee" cup (cider/mocha ... ) ... is definitely a chemical concoction for sugar and nutrasweet addicts who have altered their taste perceptions. .... go to a good percolator with a timer shut off ... you will never regret it. the New Bunn smelling bad may not be the tank but the coffee pot itself burning on the burner. Same experience with a new Bunn as earlier comment: first pot was wonderful, but every pot since was not so good. I do get comments that it smells like burning plastic when the machine is on. I think I'll try just turning off the heated reservoir after brewing and see if that helps. To get rid of the plastic taste, all you have to do is fill your reservoir with white vinegar and run it until it's empty. Then wash the reservoir and filter with warm soapy water (make sure to rinse well). Then fill with water and run until empty. (repeat if necessary to get rid of vinegar taste). Voila - no more burnt plastic taste. Just about all readily available plastics give off gas, which according to some scientists are hazardous to your hormones and therefore considered toxic in the long term. The gas comes off more easily when the plastic's temperature rises, as when hot coffee is being made. Same thing happened to me. I tried about 4 makers before I bought a Bella coffeemaker. Victory at last - no plastic taste. Good luck. I have a new Hamilton Beach single cup coffee maker. I about threw up after brewing my first cup of coffee. So, I poured straight up vinegar into the resiviour and ran it through then 10 to 15 rounds of fresh filtered water. Made myself another cup and it was fabulous. My grandmother and mom alw a ys told me to clean my new coffee pots and every six months after that with vinegar. Well I one up'd that when I began to get older and mine had that taste and smell of plastic.. I always run vinegar through a cycle then water through a new coffee maker.. to clean my old one I have had for a long while I start off by running clorox water then regular water and then follow up that with the vinegar and then the water. It works like a charm..no smell and no taste. Try that and see if that helps. I had the same problem with a Cooks pot from JCP. After a month of trying to get rid of the smell, I took the pot back - no box, no packaging but they took it back and apologized. I then went to the display and sniffed every single water reservoir for "that smell." The two worst were Cooks and another Penney's house brand, but several had the smell in various intensities. I found one that did not, bought it, and have lived happily ever since. It's a Cuisinart, but be careful - some of in the Cuisinart line have the smell. Get a ceramic pour-over, like a Melitta 101, or glass, like a Silex 2-cupper. Vintage, but will make a better cup than any auto-drip. Check ebay. Bought a nice looking kitchen aid unit, makes a good cup of liquid shopping bag. Returning tomorrow. We have actually just been pouring our hot water straight into the brew basket and it works great. We tried everything. I ran 5 gallons of water through it before we even made a cup. Wasted a lot of grounds trying different techniques. No dice. I've read you can run alcohol through the machine and it gets rid of the taste but I'm not sure for how long and I'm not convinced the danger has left with the flavor when you do that. This is ridiculous. Jim B., that Hamilton Beach like you got is one of the four that I returned. I also returned the Gevalia that I ordered. It was better, but still had the plastic smell and taste. And I was wrong, it's made in China. From what I've learned, I don't think you can buy coffee makers not made in China. One I found made in USA was plastic, and I had already decided no plastic for me again. So for my fifth coffee maker, I got the stainless steel Presto percolator. So far, I am very happy with it and the coffee tastes great. My old Gevalia was fine, so it seems to me that the plastics they use today are not the same. Will never buy another pot with plastic. I'm also going to buy a stovetop percolator and a French press for making smaller amounts of coffee. Have a new Hamilton Beach coffee maker that does either pots or single cups got bad tasting coffee either way. Did the cleaning thing but no improvement. Called HB and they sent replacement. Pot side seems better (but not good). Cup side bad-- you can smell the off-taste odor in the K-cup mechanism. Think they all should stop making the black plastic units! I am thinking that it is the black dye in the plastic. It smells like black shoe polish, and the awful taste is there too. Maybe the same dye is used in the plastic as in black shoe polish? I have returned two coffee makers that were black. My Gevalia finally gave out after about 15 or more years. It was stainless steel and white, except for the basket, which was black. But it never had that smell or taste. I'm thinking it's because they are made in Sweden, not China, and that they use a different dye for the basket and also use a better grade of plastic. I am going to order another Gevalia like the one that just gave out. I like it generally, it has no smell, and it's not made in China. the only time I know of plastic giving off that toxic taste is when heated water is in the plastic reservoir compartment. PBT's(SP?) come out of plastic when liquid is heated in plastic or placed in plastic. Also, don't use tap water that has chemicals added to the water like chlorine or Floride it too will add to that toxic taste. I also read there are up to 12 chemical additives water companies now add to the water. I will look for the link again I thought I had it but I don't. Use clean filtered or purified water in your coffee maker, no plastic will leach toxins as long as the water is cold. Never put hot water in your coffee maker reservoir. Never put water in plastic and let it sit in your car, especially if it get's hot in your car. When the water or other liquid is heated the PBT's will then leach from the plastic and slowly poison you. Don't use any type of plastic to microwave your food or drink it will cause the leaching of PBT's into your food and drink. Just bought 2 new Mr. Coffee coffee makers and both have that toxic smelling plastic and taste. From what I'm reading all over the internet, we are pretty much screwed at this point if trying to purchase a new coffee maker. Evidently nearly all brands are turning up with this putrid taste and smell. I have invented a device for your coffee maker that wont allow it to burn or taste bitter. Alcohol and here's how you do it. Rubbing Alcohol is most definitely the way to get rid of plastic taste from your coffee maker. I recently had a chance to open up a Keurig coffee maker and found the water heater tank made of aluminium including the heating coil! What's more worrisome is that the tank is filled with water even when the coffee maker is not being used. Wish the manufacturer would switch to stainless steel, when there is so much reports of aluminium being bad for health. I have two Bunn machines. One is the full size carafe model which makes excellent coffee. The other is the My Café single which does have the funny taste. Taste was there when I first started using it. Flushed it 10-15 times with water and taste disappeared for a little while. It's back. Decided to try the vodka thing. Took 1 cup of undiluted vodka and ran it thru my lips and down into my belly. Waited about 10 minutes and flushed it out with 6 beers. Made shum cooofffeee in da maker thing. Taste wash gone! Couldn't taste 'nything at all!! Found if youuu do thish every time there'sh no taste, but you may get a headache later. I've used Bunn brewers for over 25 years with no problem, BUT the more recent models I've had to replace in the last 5 years or so have been very inferior for one reason or another. I just bought another Bunn and it is emanating the burning plastic smell which other people have complained about in their various brands of coffee brewers. My kitchen smells like warmed plastic within the area of the coffee maker. Oddly, the first brewed pot doesn't have the noticeable plastic taste, but when brewing a second pot an hour or so later, it definitely has the plastic taste. I think it's ridiculous that anyone should have to run vinegar, rubbing alcohol, vodka, lemon juice, or any other crazy panacea through a new coffee maker before achieving the desired coffee taste. It should be right the first time. I really do not believe it's a "newness" that needs to run its course with umpteen pots of water before it's done right. Something is not only "rotten in Denmark", but rotten with this chemical poisoning situation being allowed. Seems obvious that USA manufacturers of coffee makers are greedily profiting with unsafe plastics/components cheaply obtained from unscrupulous sources. Going Back to my Percolator!!!!! I JUST bought a Black and Decker 5 cup coffee maker, and the plastic taste/smell ruins my delicious Starbucs coffee...even after running the vinegar through it!! After reading all the posts, I am returning it and going back to my stainless steel percolator. China is trying to kill us with unregulated chemicals!!!!! I have had my Technivorm Moccamaster Coffee Maker with Thermal Carafe for about 1.5 years. It was made in the Netherlands and is approved by the European Coffee Brewing Center (it heats the water to the best temperature for brewing). The coffee tastes amazing and stays warm for a long time in the thermal carafe. I purchased it online from Seattle Coffee Gear - see their site for a video. They included a welcome package with many goodies. The Moccamaster heats the water very quickly and doesn't waste a lot of electricity . I did a lot of research before deciding on this model. I did not want another cheaply made coffee maker (from China) that would break in a year. The Moccamaster was fairly expensive but worth the price since I had been spending $100 or more each year for a new coffee maker - none of which made good coffee. Alcohol! Vinegar will do nothing for the plastic taste, you must use alcohol. Isopropyl rubbing alcohol and ethanol both work great. Soak a paper towel and scrub your coffeemaker's insides with it, then rinse if possible. Run a mixture of alcohol and water through the brew cycle to get anywhere you cant reach. You may have to repeat a few times, but the smell and taste should be significantly reduced or eliminated after the first try. Run several water brew cycles afterwards to remove the alcohol. Trace your water from the well to the spigot, be it city supply or your own well. You'll see that your water is contained many times over n various plastics. While I agree that this is probably not a good thing, I suggest isolating the real source. Specifically, the exposure of rapid super-heated water in plastics and metals both. Thermal variances change reactive values in ANY material. For that matter, light exposure will too. Ultraviolet light is a prime example. In any case, the super-heating is causing a reaction with the trace elements in your own water supply as well as the components of your various coffee makers. I bought a Keurig coffee maker 3 weeks ago. The coffee tastes like plastic!!!! It's horrible!!!! I can't help but think we are slowly poisoning ourselves!!! Plastics that are in contact with liquids are going to leach into that liquid. The higher the temperature, the greater the leaching. Even if you could reduce the bad taste or smell, the toxins are still going to be there, just undetectable by a human. Don't fall for the BPA-free nonsense, there are other just as toxic compounds in plastics. If enough people stop buying plastic reservoir coffee makers, they will stop making them. People need to stop drinking out of plastic bottles also. 1. To the one who used a French press prior to a Cuisinart and the press caused 'gastric' issues...probably because the presses make stronger coffee (rec. 3 tbsp. per reg coffee mug. Coffee in general stimulates your intestines and some (like me) usually have to hit the bathroom 30 minutes after drinking it. Nothing wrong with that, just inconvenient. I like my coffee 'European' strong too. 2. Those bothered by the smell/taste don't be lulled into the fact that the taste 'disappears' afer a few uses or flushing. The fact that the threshold has dropped below your particular sensitivities does not mean that it still isn't toxic. TRUST YOUR BODY. 4. The main reason for not using the latest coffee brewing fad (Keurig) etc is, as far as I am concerned)economic. Figure out how much per lb you are paying. Keurig is owned by (VT) Green Mountain Coffee so they stand to make a bazillion). 5. Manufacturers love selling you tiny quantities of anything because their profit margins go through the roof. The updated Keurig attachment allows you to buy and use your own selection of coffee but that doesn't solve the plastic flavor issue. It's not the coffee maker it's the water. I had the same problem with two different coffee makers,I started using bottled water problem solved,no more bad tasting coffee. I'm also one of the people with taste! That is, I can taste the plastic coming out of my NEW Cuisinart coffee maker. Up till now I used a French press. Superb coffee but the unfiltered coffee gave me some digestive problems. So I bought a a samll Cuisinart coffee maker with filters and an horrible plastic taste not only ruined my coffee but my taste bud and stomach. I just send Cuisinart a few words of complain. Still waiting for an answer........ Don't want to replace it by the same piece of junk. I bought it against my better judgment because it was made in China but I couldn't find one made in the US (percolator doesn't take care of the grounds) I think I will return to my French press unless I can find a coffee maker (with paper filter) made in the US. Ran a cycle with about 1/2 cup of vodka undiluted, then ran 2 cycles with water and 2 with coffee, seems to have done it for now...taste is gone, but do know for how long. coffee from our new coffee maker taste bad. my coffee maker broke so I went and bought one without bells & whistle. My son brewed some and said the coffee has a strange taste to it. I didn't take him seriously till I tasted it. I can still taste it it on my tongue; yuck. So I immediately went on internet and I'm surprised at the response of others. I plan to return this Mr Coffee maker. I had recently read an article regarding leaching of plastic chemicals from water bottles left in hot cars. Our newest coffee maker's coffee had a plastic taste after brewing. I am encouraged that it is a real concern after reading the comments on this site. I will try to follow up on this problem. Why are consumer advocates not recognizing the dangers of chemical leaching from auto coffee makers? Does anyone know who I should contact? It is amazing how many complaints I have read. I was one of the people who made comments about 3 years ago after buying a Cuisinart coffee pot. The coffee tasted like it had finger nail polish remover in it, even after cleaning it and making coffee in it many times. YUK! I got a complete refund from the store. I ended up getting the cheapest coffee pot I could find at K Mart. It was a Proctor Silex. It's better, but, it doesn't make the best coffee. I don't think I can find a coffee pot now days that makes good coffee. My husband and I drink instant now and love it. But, when we have company, we use the coffee pot and nobody complains. We just bought a new Krups 12 cup coffeemaker. The chemical-plastic odor emitted from the machine is alarming. We have kept our kitchen windows open for 2 days and have now placed the machine on the deck. The coffee isn't drinkable. We haven't had an issue in the past with any coffee maker; including Krups. Since reviewing different sites we've learned that this issue has been reported for several years now. This isn't acceptable. I've emailed Krups and am going to email consumer reports and amazon. We're returning our Krups to Bed Bath and Beyond and are researching French Press and Melitta makers. Is it the heater coil in the water? My wife bought me a new 4-cup Mr. Coffee to replace the KitchenAid 4 cup that I've had for years. Ran water through it first, then started using it. I used it for over 2 weeks. Every pot tasted weird, like weak coffee, burnt coffee, but with a metallic/electrical flavor and hints of wet cardboard. It didn't get better, it got worse, to the point that I couldn't even finish the pot. She just called me to let me know the store gave her a cash refund, and is headed somewhere else to look for something better. Please post these comments on Amazon reviews, you do not have to purchase the item from Amazon, but I do think you have to sign up for an account. Maybe these bad reviews will make the companies be responsible. It's ridiculous to pay the high prices for these machines and have to deal with this. I have returned 3 machines with this problem (all were made in China). I have tried running vinegar thru them several times, soaked parts, washed with vodka, set out in sun. Nothing works. I finally bought a used machine on Ebay (not made in China), no plastic smell or taste. Quite simply, it is cheaper for these manufacturers to replace machines for the few who are willing to complain and return them than it is to redesign the units. If enough people over a long enough period of time are willing to pursue it, it might have some effect. I have tried reviewing the products on Amazon, the retailers and other sites, but my reviews are scrubbed. Most sites don't allow links to sites like this one. We need Ralph Nader and Michael Moore. I will add my complaint. Our regular drip coffeemaker quit and we began the plastic process when we replaced it... we tried a Mr Coffee which tasted of plastic, and finally got a Cuisinart which has been very good. Then our Keurig died. We decided to try Bunn and tried 3 of them, all with strong plastic flavor. I have spent a small fortune on vinegar, to no avail. Bunn finally suggested we not buy any more; apparently they got tired of our returns. We bought Mr. Coffee and found the strong plastic flavor and returned that. We have now bought two Keurigs, both B70. They both taste of plastic despite a few gallons of vinegar and much messing around. So I guess we give up. I do not want chemicals in my system. I am wondering if all of us returning our defective machines is causing the coffee makers to take notice? or are we the minority? I've complained a bunch below and see that there is no new maker that I'll trust. At an estate sale recently, there was an older model Krups cofee maker that looked like it had been used once or twice- was still in its original box. I plugged it in and ran water through it- no weird smells, heated up nice. I paid $5 and I LOVE it. Makes delicious coffee just like my old Krups- unlike the Mr Coffee pieces of crap I've had since the old Krups broke. I'll never buy new again and I'll be keeping my eye out for more so that I can store another for if anything ever happens to this one. That's my advice to others with this problem until they stop manufacturing makers with the awful plastics and/or chemicals- find an older model at an estate sale or garage sale. I'm so disgusted by our Kitchen Aid coffee maker. We purchased it 2 weeks ago and have run it through several cycles everyday since and the chemical plastic smell and taste is as bad as ever. I'm taking it back and am leery to buy a new one (same brand or other). I hope these companies get sued up the arse for the crap they're producing and continue to sell even though they know there are problems and potential health hazards. Won't use modern maker any more. I picked up an old-style electric percolator at an estate sale 2 days ago- it was unopened in its original box- got it for $6. The coffee is delicious. Boo-Ya, Mr. Coffee a$$holes! It is NOT my water, it is your crappy product and its plastic guts and who knows what else making the chemically-tasting coffee. This whole problem is easy to resolve. Buy a Farberware percolator. There are other brands out there as well and some really nice vintage stuff on eBay. It's all stainless steel...no plastic. Similar problem – we just purchased Mr Coffee single serve model BVMC-KESR and even though it is now one month old the first cup always smells and tastes like burnt plastic. We now run it through an “empty” cycle (no K cup) before we use it and the coffee is OK but that is somewhat inconvenient. We purchased a Hamilton Beach low cost coffee pot. Ran water thru it, it smelled like a semiconductor factory, gallium, tin, lead metally smell. Then there was a plastic smell. Trying to convince my wife to boil the water on the stove, and use a regular pour filter. There are huge amounts of chemicals in these low cost coffee makers. But I am an Engineer perhaps I observe these smells. All my liberal arts family thinks observation is weird. I bought one of those Hamilton Beach One Cup makers and it works fine but the Coffee taste like Plastic. I've had it for awhile now and use it thinking that the crappy taste would go away. It hasn't! I used vinegar and soda in a soak but that did little to resolve the problem. Anyone else have trouble with this maker? I had a cystocopy done this week and I have a tumor on my bladder. The doctor asked me if I smoked tobacco or worked with plastics. I have never smoked and I have been a computer programmer for 35 years. I noticed a burned plastic odor eminating from my B&D 5 cup coffee brewer this morning. I believe that this may be the source of the problem. I am going to research this further. I am also hoping that others who read this may corroborate my concerns. If you've read the previous comments, Anon, you'd see that most of us have done that numerous times and the weird taste/smell always comes back. I'm currently looking for an old-style percolator. No more plastic-guts to contaminate, hopefully. Our new coffee maker, Mr. Coffee, emits such an order of chemicals and alcohol it is alarming! We have run multiple clean and purified water cycles through, along with a vinegar wash as well. No luck. This machine is toxic! Given the scale at which Mr. Coffee operates, it is cheaper for them to replace coffee makers for the relatively few who complain loudly enough than to redesign their product. Linking this site to their and as many other review sites as we can find is the best way to effect change. Consumer Reports and Facebook have a huge impact. Let's get started. I just got a keurig coffee pot as a gift. The coffee tatse bitter and after washing it with soap and running it through hot water it still taste bitter no matter what coffee i put in bought a filer to put my own coffee in it but still the bitter taste. Im going to returne it to the store.After having the coffee i have been getting headachs and stomach problems. I recently purchased a 4 cup Mr Coffee maker and noticed a nasty plastic taste, like burnt plastic or rubber aroma as well. I took it back and bought a 12 cup Mr. Coffee maker and noticed the same thing. I cleaned both with vinegar trick before each use and even afterwards. I had a 1/2 lb of kona coffee and thought I might have been just making it too strong hence the taste. I tried brewing, Guatemalan beans, Folgers French roast, Maxwsell house and Stewarts and guess what? It's not the coffee or the amount of grinds I am putting in, its the darn coffee maker. The coffee smells bad and taste bad (plastic taste). I cannot find my receipt for this pile of crap now. I am a coffee lover and so pissed off that I am going through all this nonsense just for a decent tasting cup of coffee at home. Think I will buy a peculator like the posters above mentioned. I don't want to deal with any plastic parts of rubber hoses anymore. I have wasted a lot of good coffee over the last 2 weeks too. I just read that one person used a couple shots of Vodka, and wiped out the inside of the coffee maker and the pot. He said it works. I am going to try this, too. Our cheap Black and Decker broke (2nd in a year), so we bought a Mr Coffee with bells and whistles. After a week, we could not get used to the plastic/metallic taste on almost every pot- so we took it back and got another Black and Decker. i been having gut upsets with mr coffee for a while. didn't realize it at first till recently just hasn't been feeling right. i like never felt bad with instant before brews but folgers went to sheet so i was forced to try brew. but i was annoyed to encountered so many bad instants besides folgers and eventually settled with melitta brew. but recently, thing took a bad twist, i got a strong chemical feel in my stomach from switching to kitchen elite , its all plastic. i couldn't sleep very the night i used that. i'm feeling better and recovering gradually with a detoxing plan. i dissected that kitchen elite and the plastic hoses that the water runs through had a distinctive plastic smell. would you feed a baby with hot water that run through those hoses? if only I knew earlier…. but there are other cheaper and safer alternative. put the plastic industry that make products that contact your food out of business! They are playing games with your health here people! I had only used it a couple of weeks when it suddenly made a pot that was disgusting. It smelled...chemically. Tasted of chemicals. It's unlike anything I've ever tasted or smelled before. The coffee didn't brew up as dark as usual- and I make the same amount daily. I use the same water I've been using for over 10 yrs- no change in our water. I cleaned it using vinegar. It would make normal coffee for a number of days and then, unpredictably- make a disgusting pot. I sent an email to them and bam! They sent me out a brand new machine! Wow, right?! When I emailed them again they suggested it was my water. I suggested that they look into their manufacture of their products and that I would never again buy a Mr Coffee product. So I'm back to running vinegar through it and crossing my fingers with each brew. This morning I ruined 2 batched before giving up and using my plastic Melitta that fits over a mug w/paper filter and pouring hot water over. Sad that it tasted batter. Over the course of 10 years, 6 drip coffee makers (home and office) and two cities 600 miles apart, we have noticed an off taste in the second pot brewed each day, no matter the brand. My in-laws have Bunn, however, in which they crank out pot after pot at family gatherings and it always tastes fine. For a while, we tried cooling the entire unit all the way down before making the next pot, but no success. We, too, have given up. We make our two pots a day in an old Corning Ware percolator my grandmother gave me or a press pot. Had to buy a new Mr. Coffee Maker recently. The plastic taste leaching into the coffee is so bad that I actually stopped drinking coffee for a month! So I decided to buy an all stainless steel coffee maker. Guess what? They are all plastic inside! I bought an all stainless steel WestBend Purcolator coffee maker. Best decision ever! and didn't even brew a pot of straight water before making the first pot of coffee, and the very first pot was perfect! (not to mention it takes up a fraction of the counter space of a plastic drip coffee maker). filter basket, no more buying paper filters bleached with chlorine. My husband surprised me with a CBTL maker (Caffitaly System) It stands for The Coffee Bean & Tea Leaf. The coffee tastes wonderful and makes a cup with a beautiful max crema on top. Absolutely NO plastic taste! However, I've been concerned about whether the plastic single serving capsules will leech into the coffee. Does anyone know if these are safe? When the hot water goes through, I can't help but think it's got to leech out chemicals. I'm loving the coffee but am uneasy every time I use it! Someone needs to do a study. I'm on my third pot sent from Mr coffee they all have same plastic taste. I give up. After reading everyones foments sounds like spending more on a pot wont help. Old fasion is the better way to go percolator!! We bought a Hamilton Beach 1 cup pot, it smelled so bad, I wrote the company, they told me the vinegar trick, it did not work, they sent me a new one and it is bad too. I have contacted them again and as yet, have not heard back. I agree with one of the answers, they know there is a prolem, fix it!!! Living on a fixed income, I cannot afford to keep buying pot after pot. Bought this 12 cup Mr Coffee dispenser. Washed, ran water thru as said...awful plastic smell and taste!!! Ran vinegar and about 5 pots of water...still awful!!! Put lemon juice in and ran 5 more pots of water and plastic taste and smell was horrible still!!! Called customer service and they immediately asked for my address. They said they had that problem several years ago but should not anymore. I received a replacement in less than 5 days!!! Only washed with soapy water, made coffee and NO plastic taste nor smell!!! Another thing some have posted how loud the dispenser is. My first pot was loud but my replacement is not. Super impressed with the efficiency my problem was handled!!!! I agree and found the link to this site trying to escape all the plastic in my coffee. As other have suggested the solution is use a french press ( I like my french press and the small residue enhances the flavor for many coffees but sometimes I may filter others with a paper filter in a stainless steel strainer). The stainless steel strainer with a paper or permanent gold metal filter is another method. You may also be able to find glass or ceramic pour over coffee pots with a metal/glass made filter. Many of those great percolators in the office made of stainless steel that also use stainless filter covers is another choice; you may be able o find a small unit cheap or a consumer version knockoff. Be sure there are lots of coffee pots and brewers that will not use plastic. There are lots of manual choices to take care of your problem, but be assured i have seen better brewers out there without plastic. heres a glass teapot with a stainless strainer, use it for coffee ?? With most conventional over the counter coffee makers the water is touching plastic almost through the whole process and frankly its disgusting regardless of the taste or not. Plastic is a impure, un-natural chemical compound we can live without vs the damage it does to our bodies and the environment. And I hate plastic in my coffee or near my tea, period. I'm a serious coffee person, and I grind my coffee by the cup. I had coffee from a Keurig in a hotel in Norway, and loved the convenience of it. So when I got home, I bought a Keurig and a reusable filter, so that I can brew coffee in my Keurig using fresh-ground beans. As so many here have noted, the water tastes terrible. I've run vinegar solutions, tank after tank of water, etc. It's really unacceptable. I'm taking the Keurig back. I'm convinced that, unless you have a great old brewer that doesn't have the plastic taste, the only way to get a really great cup of coffee is to use a French press, a stove-top expresso maker, a Chemex (only the filter paper and glass touch the coffee), or a simple porcelain single-serving cone (simply put the cone on top of your coffee cup, insert a paper or gold filter, and pour hot water through). As long as coffee makers are made in China with plastic that is totally unregulated for chemical content, they will continue to leach plastic into your coffee. That bad taste is telling you something. Put it this way: would you make your kid's hot chocolate with that water? Go on eBay and search Hario brewers and kettles. I use a V60 electric kettle, yes electric, I found it online from this guy that imports them from Japan, and 02 brewers...glass. Nothing but stainless and glass comes in contact with my brew. It takes less time to brew a perfect cup than an automatic. Pour over is the way to go. Chemex is also a great option. If you are reading this it's because you bought a new coffee maker, and it produces awful coffee. You can try a number of remedies, but none of them are going to work. My advice to you is to just brew a pot of water and take a taste. There is no sense making an actual pot of coffee when the problem is water fouled by the coffee maker. If you think that running vinegar through may help, by all means try it. Then try just a cup of hot water. If the water tastes bad you know that making coffee will be bad too. When you taste that Mr. Plastic output you will not be able to finish even one cup of hot water because there is no doubt it's a health hazard! I am on my second Bunn My Cafe. I bought it because it has a stainless steel water tank; I didn't want plastic leaching into my coffee. However, there is a distinctive plastic taste that won't go away, even with vinegar rinses, etc. I assume that the taste is coming from the plastic parts above the water tank. Instead of returning the first one, I accepted a replacement but this one is just as bad. Does anyone know of a single serve coffee maker that doesn't have plastic parts? New Kuerig tastes like plastic. I have a mild migraine and feel ill all throughout my guts. Taking it back. bought a new cuisnart coffee maker yesterday, My husband I both noticed a bad taste to our coffee. I am taking it back tomorrow to the store I bought it from. I put crumbled up newspaper in the water reservoir and basket for at least 24hours - try another 24 hours if smell still bad with fresh newspaper. The dry newsprint seems to do the trick. i just got a replacement , since my original, POWERED OUT. I got the replacement and immediately there was a foul odor when brewing, and a nasty taste to the coffee. We actually were asked to send our machine back to have it analyzed! Well, I went through cycles of white vinegar, water, water, vinegar, water, water, lemon juice, water, water! After everything was done, the coffee tasted fine for the first cup. The next morning I ran a mug of hot water and the smell of plastic was back, although not as bad as when I got the SS-700. The second mug of water was almost smell free. Now I just run that first mug of plain water through the machine before making coffee. Maybe over a period of time the problem will lessen further. As I have said before, it is not a water problem, nor a external tank problem. The smell/taste comes from heating the water in an internal plastic tank. The hot water leeches the plastic VOCs (volatile organic compounds) out of the internal tank components. This will continue to happen until the tank ages and no longer gives up the VOCs. I can't tell anyone if this is a health hazard. I am pretty old and not really worried about the long term effects. However, I wouldn't want to continue the use of these coffee makers if I was a young woman planning on children. My wife and I recently replaced a failed Kitchenaid brewer with a very basic B&D unit from Walmart ($19). Our rationale for buying a cheap unit was that the 'better' Kitchenaid didn't last a year. Our first pot of coffee went through this morning and it is horrible. Now the whole unit smells like burned plastic - I had to put it back in the box, it was stinking up our kitchen. It's definitely going back where it came from. I'm really disappointed, this is probably the sixth or seventh unit we've owned and it seems as the years go by, these products are getting worse not better. Our first coffee makers never had taste problems that I can recall, they just didn't seem to last very long. Were are going to buy a stainless perk or a unit like the Chemex if we can find one here. My advice would be if it smells that bad, it can't be good for you - don't use it. I've bought several brands of coffee makers over the last few years just because of this problem. They all had a horrid plastic taste and smell when you actually used them. Recently researching Amazon, I saw there was a conversation thread in the small Keurig machine reviews about the same issues (+140 comments!. So it seems systemwide. I have to believe the manufacturers are well aware of things but don't seem to care. We have our second Keurig because the first one stopped working correctly. The plastic taste is disgusting. We drink coffee only because we enjoy the flavor. We ran water through the reservoir 3 times with the lid off and it is much better. My question is why don't they correct the problem at the factory? Got a new Cuisinart SS-700 two days ago. cleaned as per instructions and brewed first cup. The plastic stink smelled up the whole kitchen. On Keurig branded machines they tell customers that it is the water tank and to wash the tank and run diluted vinegar through, followed by a couple ot tanks of water. If that doesn't work, they will send a new tank. Cuisinart isn't quite as nice. They said to run lemon juice and water through, followed by a tank of water. Now for the kicker. If that doesn't work, I can send the machine back to them, paying for shipping PLUS $10 and the will replace it. So I will end up paying $30 or $35 for another machine that may do the same thing. The problem is NOT the external water tank. It is the internal plastic tank and parts where the water is heated. As the plastic is heated, compounds leach out of it, some remain in the water and some are volitile enough to end up in the air (that is the smell). I am going to try the wash, vinegar, water, wash, lemon, wash cycle, to see if I can reduce the problem. If not, this thing goes back to the store and I will drop the idea of any Keurig pattern coffee maker, as this problem can occur in any brand that uses their brewing system. ... do you think that there really isn't any more plastic leaching into the water? Of course there is -- you are boiling water in a plastic container! It may turn out that drinking small amounts of plastic every day does no harm at all, but I kind of doubt it. Remember all the fuss about plastic water bottles and baby formula bottles? I think it's just a matter of time before the same thing happens with coffee makers. Until it does happen, the coffee maker companies are going to just keep making them out of plastic, because it's cheaper. In the meantime, you certainly won't catch me drinking plastic. Go for a percolator, or one of the few coffee makers on the market the heat the water in a steel container! I bought a new KitchenAid KCM1110B to replace our malfunctioning (though top rated) Cuisinart DCC-1200. 1. Wash all parts in hot, soapy water, as directed in instructions. 2. Brewed coffee. Horrible plastic odor and taste. 3. Brewed second batch. Same. 4. Ran vinegar solution (half of a small bottle of vinegar, rest watter) through. 6. Brewed with clean water. 7. brewed with clean water again. At step 7, the water smells and tastes clean. Decided to buy a top of the line Cuisinart single cup coffee maker since every family member likes a different type of coffee or tea. Had heard rave reviews about this coffee maker. We're on our fourth cleaning and full tank of water and it still tastes like plastic! No matter what I do it still tastes and smells foul. I will take it back. Can't imagine what chemicals we're drinking if it is that noticeable. I have a bunn with a thermal carafe and stainless holding tank and I never had that taste. I have tried other coffee makers and I know what you mean by plastic chemical taste, how good can that be for us? I first commented in Jan. 2010. Then later bought a cheap Proctor Silax and thought it was better. We use instant or coffee bag coffee now and love it. Seriously! No icky taste. If we have company, we do use our coffee pot, but I still don't like it. I just hope my "company" doesn't notice the taste. My kids got me a new Keurig Coffe maker - the Elite - for Christmas. I did what the manufacturer said to do for the first cup, but the water/coffee tastes bad. It is a plastic taste - yuck. I ran vinegar through but it didn't help. I will try leaving the top of the water reservoir off as someone suggested to see if that helps. If not, I'm returning it. Ok, I've taken back the coffee maker, and have decided to buy a new farberware percolator, I have a vintage one, that makes great coffee in minutes and keeps it just the right temp for hours without cooking it. I can only imagine they have even improved on the new model. Has anyone bought one of these new versions? Would love to hear what others think of them, whatever the chemicals are in this new plastic is not worth the risk, even if the smell eventually goes away, I doubt the chemicals do. ...are great way to go. I bought a GE from Wally World for about 40 dollars. Gave it to my parents. They love it. It's still going strong after several years. I have a Faberware percolator that I use on occasion. As far as grounds in the brew, they make filters for percolators. I use two kinds. One is a disc that fits in the bottom of the coffee holder, the other actualy wraps the grounds and is super easy to clean the machine. eBay usually has them. Wegmans (a local grocery chain in the NE) has them as well, both types. Chemex and Hario type pour over brewing is the best and the way I brew coffee the most often, but most people don't want to screw around that much. The plastic smell comes mainly from internal components in the coffee maker. When the heating element heats the water, the plastic gases off. I have a Krups that does not give off any plastic odor. I haven't torn it apart to see why, but if it ever dies I will perform an autopsy. Our Kitchen Aid coffeemaker makes horrid smelling coffee! We purchased a Kitchen Aid programmable coffeemaker for about $75 at Target a few months ago. Only recently did I notice a problem with the noxious plastic smell and taste...when I ran plain water through it to heat it for several individual cups of coffee. I was stunned! There is a wide plastic rim around the pot, as well as a plastic lid...and other plastic components for the filter housing and the reservoir. Forget it...not worth the hassle OR the concern for our health. After reading all the comments here, I'm determined not to use this maker; I do NOT trust the quality (or lack thereof) of the plastic used. The best coffee EVER is what I've made, off and on, with a Toddy Cold Brew coffeemaker. Trust me--you'll pay more for the coffee itself, but you won't ever have a smoother, nicer cup of coffee!! I'm on my third coffee pot, and this one husband bought for Christmas, and I'm returning! It was a top of their line Mr coffee with stainless carafe, just like the others the plastic/ chemical smell is unbelievable, in this day and age of envrmental safety I cannot believe this is even allowed? Is there no consumer safety group out there picking up on this? Does anyone know who we can contact to look into this? I work second shift and when I got home last night the smell was overwhelming when I walked in the door, almost fishy order. I ran the vinegar solution through to no avail. It has a removable water reservoir which I washed in hot soapy water. I have an older electric percolator that works great, but troubled with grounds in coffee, still think that this may be solution. These chemicals may be killing people. It's not worth the chance. Try running water and some vinigar through a few times then clear water and see if that works. i purchased a new mr. coffee and ran the vinegar/water mixture through it and our coffee smells and tastes like chemicals or plastic. It is so bad it gags you. Tried the vinegar again and it's still bad. every now and then it's ok but not often. I am so upset with Keurig right now. I bought mine from Target and the plastic metal taste is unbelievable. I got this because it said bpa free on outside of box. I looked at reviews on amazon to see if anyone said the same and they did. Recommendation was to clean out the reservoir with vinegar and water and run it through. As I took out the reservoir I see recycle #6 on bottom which is known to leach harmful toxic chemicals. The world health org suspects this. I dread to think what nasty junk I have ingested already. 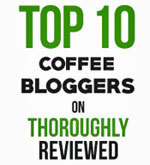 Go to amazon and look at the newest reviews there about bad taste with keurig b60. I emailed the company who told me to how to rinse and clean but why on earth should I need to go through all these processes on a brand new machine. Ive never had to do this before. When I emailed back again asking them to address and explain the #6 recycle number on reservoir I received no response. I wanted to post my solution again, just in case people aren't seeing it. If you have a mr coffee or another type of coffee maker with a lid on top, leave it open and you won't get the plastic taste. It's been ok for months now. The main problem seems to be water condensing on the plastic and soaking up the plastic for hours after you've used it. I got a top of the line $110 home Bunn at a Christian thrift store years ago for $10. It was new without directions or box. It made coffee with a rank taste. I remembered years ago my Mom used to cure out our Mr. Coffee pot with whtie vinegar so I tried that. I had to poor the boiled vinegar out after leaving it sit half a day and the next pot of coffee had a slight vinegar taste but after a week of use, all was perfect. ...they aren't very energy efficient because they keep the water tank heated at all times. They're great for restaurants, but for home not so good. Plus the coffee runs through the grounds so fast, there is no time for a good extraction from the coffee. I have two Krups coffee makers, one at home and one at the office. No plastic smell or taste. So I don't actually drink coffee myself, but my wife does, and she swears by the Bunn. There has never been any soft of plastic or other bad taste. We spent a lot of time looking for something that didn't boil the water in plastic, and this was the only option we found. Even if you manage to get rid of the taste with vinegar or whatever, there's still going to be plastic chemicals in there when you boil water in a plastic container. Had the same problem trying to find an interim coffeemaker while my cuisinart is being fixed under warranty. Went through two cheapos and almost gagged every time on the chemical taste. Finally, I went to Starbucks, intending to buy a supply of their via instant to get me through - then I saw they sell a ceramic cone-shaped thing that goes directly over a mug... a kin to the old melitta pots, but ceramic - no plastic. Pop in a filter, boil some water, add your coffee and slowly pour. PERFECT coffee every time - in fact, better than my $100 cuisinart! And for the staggering price of $12. I have a feeling this is going to be my main coffee maker, even when I get my replacement from cuisinart. And I am already planning on getting one for my mother for Christmas. 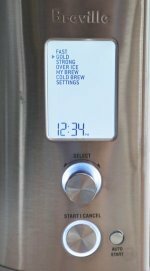 Having the same issue with an Orson BVST-RDX5543 drip coffee maker. Doing a full cycle of half vinegar/half water and then a full cyle of water will result in 1 good pot. After that, it's back to the horrendous taste of some chemical that reminds me of rubbing alocohol and the smell of burning plastic. I tried a very intensive lemonjuice cleaning process and that only seemed to make it worse. This thing is going back! ugh! Thanks Trever, I looked up the Bunn you recommended and you're right-it even has a stainless filter basket. Have you used it, and does it make good coffee? My husband and I are in exactly the same boat as the couple below. Our machine gave out, it was kind of Keurig to send us the new machine this month, but the chemical taste and smell has made me very sick to my stomach (to the point I had to change my plans on Sunday due to illness) and I have had a constant, steady migraine. I'm afraid to even use the machine anymore. We have run a lot of water through it, and washed it over and over but it still has the awful metal taste and smell. Our old machine never did this so I do not understand why it is happening with the new machine. This sure is sounding like a legitimate class action lawsuit to me, especially since it has made so many of us sick and none of us were warned about this problem by Keurig. I am very angry and still not feeling well. Something should be done soon before others are sickened. We bought a Keurig B66 11/2009 and it was terrific. This month, it started to fail, so we received a new unit from Keurig. Very nice of them. But, the plastic smell is awful. Ran lots of cycles, with vinegar, no luck. They sent us yet another unit, same problem. We bought a different unit from Sams and still the plastic smell and taste. I suspect inferior parts from China and wish Keurig cared more about quality. My wife is more sensitve to this awful taste and it gives her headaches. The only reason we keep trying is because of the great coffee we got from the B66. We have a hefty stock of K-cups, so we would like to continue with the Keurig. As it happens, we bought a mini-brewer, and although less convienient, does not produce the yucky taste! The only way to avoid the plastic in the water is to get a coffee maker that heats the water in a stainless steel container. Bunn makes some of these (and I have one): http://www.bunnathome.com/ I don't know of any other company that makes a coffee maker that heats the water in stainless steel. There are zillions of 'stainless steel' coffee makers out there, but take a look inside, and you'll see that it is all just cosmetic -- it's all plastic on the inside. Our old coffee pot gave up last week, we are now on our third coffee pot, (2 Mr. Coffee and 1 Kitchen Aid) and we are returning all of them. What makes any one think that if they cant smell the plastic chemical smell after awhile that it is still not there? Plastic and high water temps dont mix, why cant we have a decent coffee maker in the USA instead of being poisoned by China. What makes any one think that they give hoot about our health? Its all about a cheap buck. I would rather use instant coffee than drink that junk! Not saying it can't be the plastic in the coffee maker, but it's likely--if you keep having the same problem with different coffee makers--to be that you have pre-1977 PVC pipes. (Or possibly even later than that.) PVC has been shown to leach vinyl chloride into our water, and if you don't run the tap for at least a full minute in the morning before you make your coffee, you are definitely getting that foul-tasting and extremely toxic chemical in your coffee. If the coffee smells "chemical-ish", don't even try to drink it. PVC causes liver cancer, among other things. Hope this helped. One word, the best way ro brew coffee hands down. I purchased a auto pot from Mejers last year olny becouse I wanted to be able toprogram it for hard mornings with four midgets keep me running .. I was so upset that I put it under the cabnet and went back to making it every morning .. now i have moved and have pulled it back out and am trying again .. but i am guessing no luck ! i have tried adding salt to water , Vinigar, endless pots of cofee to see .. just see i am so frusterated and now Meyhers doesnt even sell this brand any longer!! UUGGHHH! I've found that if I leave the lid up, I don't get the plastic taste. I have a basic Mr. Coffee, that I purchased after getting one of the mini Mr. Coffees that also had a PVC plastic taste. I've been keeping the lid up for a few weeks and so far the plastic taste hasn't returned. It must be the water condensing on the lid and soaking up the taste from the plastic components. I use a ceramic cone that you pour hot water over and it drips into my cup. That way I can also control the temperature of the water, which is critical, because most coffee makers don't get hot enough. (Just under boil) Another option might be a French Press, but I prefer the cone because the filter catches the bitter oils that a French press might miss. I, too, would like t find a plastic free coffee maker, since heated plastic is very bad for us! GE makes a very nice percolator available at Wally world for about 40 bucks. I purchased one for my parents when their POS Cuisinart bit the dust. No plastic...stainless. The longer the water stands in the machine, the worse the taste. The reason that sometimes the coffee is good is because it's the second pot in a row. The worst case is letting water stand in the coffee maker overnight. What you have to do is run about two cups of water (no grinds) through the machine, then immediately afterwards get rid of the hot water in the pot and then make the real batch. The problem is moisture or water in the machine that soaks up the plastic flavor. This really defeats the purpose of having a timer to brew a fresh pot automatically in the morning. This plastic taste can't be good for you, today I'm going short in mr. plastics parent co. and see if I can't make enough profit to buy a decent coffee maker. I bought a new Bunn 2 months ago. All of a sudden, the coffee had a metal taste and smelled outright rank. I thought it was because I used water from my faucet a few times. I usually use purified water. When I did use spring water, the water that comes through the system now tastes and smells the same way ~ worse than before. I just bought a $14. Mr. Coffee small and am hoping this doesn't occur with this one. My husband doesn't drink coffee and so frustrated with me. I've looked into this extensively. What it boils down to(pardon the pun)...the plastic that's used produces the smell when it's exposed to high temps. I've found that the majority of Chinese produced products are inferior and if you can smell it in the water, then you're drinking it too. Uuugh! It may seem to go away as the machine is used more, but it's more than likely being masked from brewing coffee. As someone mentioned, some of the more expensive units (Krups) although now made in China as well, must have higher QC standards. I've owned 2 Krups and had zero problems with chemical odor. Bodum, a Danish manufacturer also makes many products that utilize plastic and they don't emit toxic odors as well. If they're saying its the reservoir I wouldn't believe them. Most coffee makers have plastic internal parts that are exposed to high heat levels. That's where the odor comes from. The tube that surrounds the hot plate where the carafe sits is usually aluminum, not stainless, but the tubes that connect the reservoir to the heating tube/pump are plastic and silicone, and the riser that feeds the dripper is plastic. I've given up on plastic coffee makers all together. I'll stick to my glass Chemex and avoid the whole mess. I have a cheap Chinese made coffee maker, the plastic taste is present after a years worth of use. It is definate poison...beware. Run that mixture through the coffeemaker and turn it on as if you were brewing. After that has gone through, run a full pot of water through the brew cycle 3 (THREE) times. She told me if that did not take the yucky taste away then it would be a warranty issue and to call them back. I am concerned with plastic leeching from plastic interior coffee makers. Do you know a maker of a coffee maker that has an interior made of glass or stainless steel? 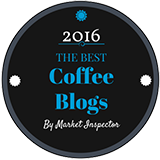 Editor's Note: Check out our other thread...plastic-free coffee makers. I am having the same problem right now. I had my last coffee pot for a year or more, kept thinking the chemical taste would eventually go away and it never did, now my new Bunn has the same problem and I am taking it back! Our relatively new Proctor Silex flooded our kitchen counter (leak from underneath) and damaged the counter in early December so we ran out (before Christmas) and bought a Home Styles from Zellers - total dysfunctional design - but it was urgent. Today we decided to spend the WHOLE afternoon on the hunt for a simple coffee maker and brought home PC Digital Coffeemaker only to discover when we ran water through it there was that horrible chemical taste (went through this 1 year ago with a Sears Kenmore $160.00!!!). Ran several pots and did not help at all. Then decided to plug in the ugly Home Styles one that we were retiring which we have been drinking coffee from for several weeks and just run water throught it...what a shock - it tasted horrendous too. We have been drinking poison...all made in China......this is immoral .....I'm so MADDDDDDDDDD.......everyone test your coffeemakers with water....what the hell are we drinking??????? Dear Anonymous: You said your Cuisinart was old. I don't understand it, but my brand new Cuisinart produced "icky" coffee, so I returned it. RE: coffee maker tastes bad. I have had my Cuisinart coffee maker for four years and I just started getting that bad plastic/chemical taste intermittently. After producing a pot of coffe that had to be thrown away, I wasn't sure where the off taste was coming from, so I made a pot of coffee with no filter and no coffee, only water. I tasted the water before (it was fine) and after: It was terrible after. I have decided to retire the pot. Undoubtedly Cuisinart found a way to make their products become obsolete after a few years. I finally gave away my Cuisinart carafe coffee maker after weeks of dosing it with vinegar in an attempt to get rid of the chemical taste. My replacement Krups carafe has no chemical taste, but has stopped working after 18 months. A small 4 cup Mr. Coffee purchased a few weeks ago puts out an even worse chemical taste than the Cuisinart. Guess I'm stuck with purchasing another Krups. We have experienced the plastic taste and smell too and finally splurged on the more expensive Krups brand. We have never had a problem with Krups and from now on will only buy Krups when a new one is needed. I have a Cuisinart and I used a mix of 2 tablespoons of baking soda in a carafe of room temperature water and filled the reservoir. 1. Let the water SIT in the reservoir for 10 minutes so it could absorb the plastic odour. Turn on the machine and let it run its cycle. 2. Let the machine cool back to room temperature and run a carafe of clear water through. If you need more cleaning cycles of baking soda/water then clear water, always let the machine cool off after each use. It may be a time consuming process but at least you're not using anything that's toxic or harmful. I just bought a new coffeemaker. I wanted one that was NOT programable, and with not clock. I wanted a plain coffee maker with no frills. They had none at Wal Mart or Target, but I found one at K Mart. It is a Proctor Silex and it cost $14.99. The directions did say to run vinager through it the first time, but I decided to just run water through it and then make a pot. It tastes just fine. No ickey taste at all! This disgusting smell, taste, can not be solely the result of the pot being new. I have had many new pots and there has never been a foul chemical taste. If I knew how, I would get the FDA involved to see what is going on at the outdoubtedly Chinese coffee pot manufacuring plant. That coffeemaker smell is REAL! This past March I bought a new coffeemaker Cuisinart DCC 1200 Series and could not wait to try it the first time. Well to my surprise it smelled like a chemical plant giving off it's fumes. I had to waste the first couple pots before I wised up to washing it with vinegar a couple times and it reduced it 99%. I'll continue to clean it again and hope to get the 1% out. The manufacturers should tell us consumers what to expect. They owe us not for the maker only but for the wasted expensive coffee we had to toss out. In closing there have been so many recalls of products you have to be careful what you consume or wear these days. We bought a new Cuisinart coffeemaker. To our surprise, the coffee smells and tastes awful. May daughter gave a good name to it: PUTRID. I had my sister come over and taste it, and she was baffeled also. Someone said we need to use it a lot before it tastes good. But, how much coffee do we have to waste? I decided it is just as bad as putting some rubbing alcohol in it and trying to drink it. Just thinking about it makes me gag. I called the store where we got it, and they said we could bring it back. But, what kind of coffeemaker should we get instead? I too had this problem with my new cusinert coffeemaker and was told to fill up with LEMON JUICE instead of water and run thru once..and than of course run about 3 times with water. well to my surprise it worked....no more plastic tasted in my coffee......hope it works for you..
To the person who said they went for stainless steel, could you tell me what make/model you got. There are loads out there with stainless steel exteriors, but I have yet to find anything with stainless inside. Try running thru a pot of 1/2 water and 1/2 vinegar. Follow that up with a full pot of water mixed with a few spoons of baking soda. Then run 2 pots of plain water. It seemed to help my Mr Coffee which also had a plastic taste. Remove the Plastic Taste from a New Coffee Maker. If the recommendations below do not work then return the unit or get a unit with an interior made of stainless steel. Use the old home remedy by filling to maximum cup level one half white vinegar and one half water, run through the brew cycle to clean the pot and also remove the plastic taste. For less expensive models it may require several cleanings due to prolonged outgasing by the cheaper plastics. Dip-It coffee cleaner was also suggested to me as an alternative by Farberware. I eventually opted for stainless steel.